Michael Kabotie was a sculptor, silversmith, and painter (1942-2009). He is the son of famous painter Fred Kabotie and grew up at Shungopavi Village. He made artwork for up to fifty years. His father helped him develop many of the overlay techniques for Hopi silverwork. He began to paint after high school and had a one-an show at the Heard Museum. 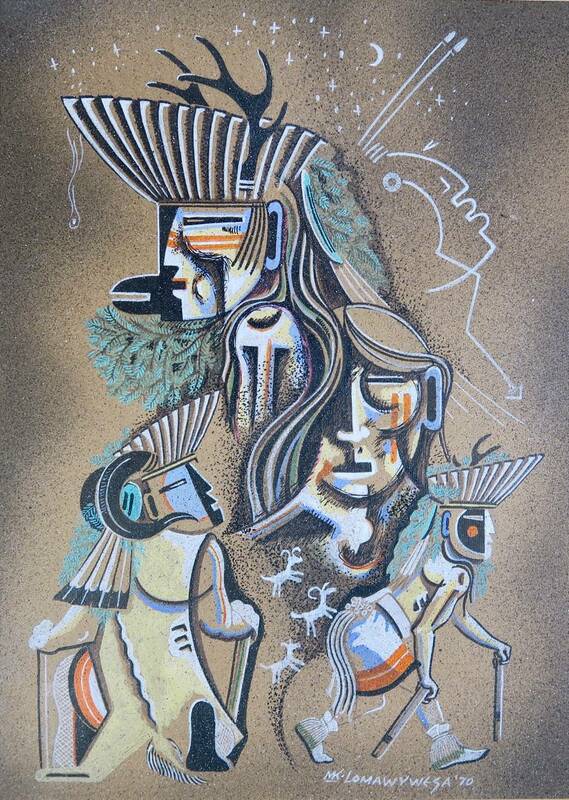 In the early 1970s he was a part of a group called Artist Hopid which was dedicated to new interpretation of traditional Hopi art forms. This is a watercolor painting and is called, "Deer Dancer". 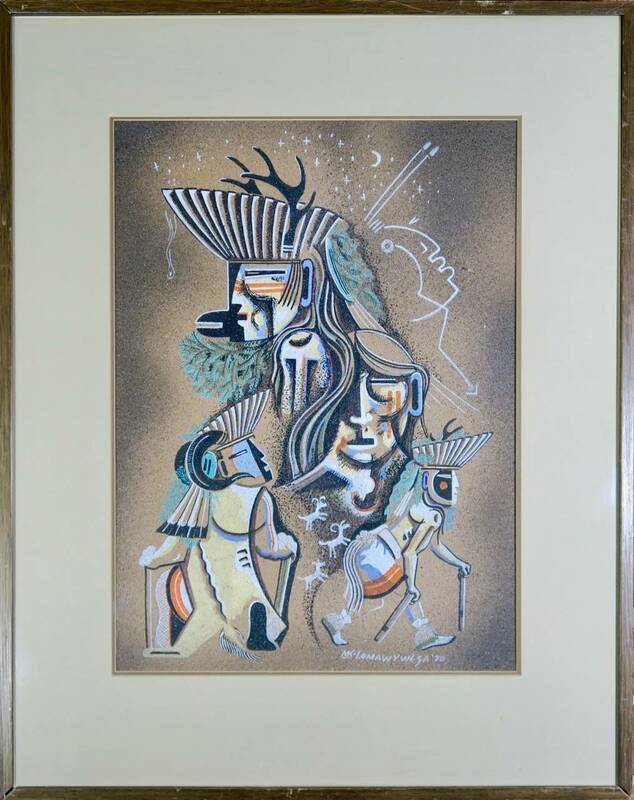 It is signed Lomawywesa (walking in harmony) 1970. This piece is in good condition with frame and glass. An inspiration piece to add to your collection.